Colorado is among a handful of states with mandatory arrest policies for domestic violence. In most states, police officers are empowered to evaluate an incident before making an arrest. In Colorado, the mandatory arrest policy means an officer has to make an arrest if he or she has probable cause to believe a crime involving domestic violence was committed. Domestic violence and abuse happens more often than you may think. According to the National Coalition Against Domestic Violence (NCADV), 20 people are physically abused by an intimate partner every minute in the U.S. Every day, domestic violence hotlines answer 20,000 calls from around the country. This adds up to at least 10 million men and women suffering domestic abuse each year; many more incidents go unreported. Domestic violence is a major problem in the United States. As the National Coalition Against Domestic Violence points out, 1 in 3 women will be the victim of some kind of physical violence by an intimate partner during their lives. But it’s not just a problem for women, domestic violence against men is an issue as well. 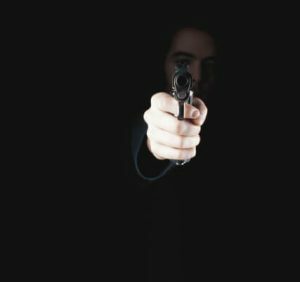 The Supreme Court closed a gun-law loophole regarding domestic violence convictions. The biggest problem with domestic violence is that many people don’t report it. The most shocking fact about domestic violence is that only 25% of all physical assaults are reported to the police. So, when new legislation that can help prevent incidents of domestic violence comes into effect, it’s a big step forward. There are some interesting differences in the Colorado crime rates in three major counties surrounding Denver: Arapahoe, Douglas, and Jefferson. Sometimes these actions are overt; other times the control is subtle and ongoing. 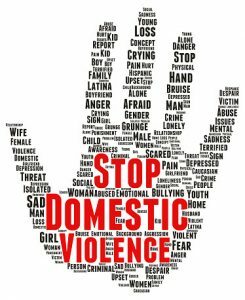 For abuse to fall into the category of domestic violence, the person acting violent toward another or threatening violence must be in an intimate relationship with the victim. This can include a current or former spouse, past or present unmarried couple, or persons who are both the parents of the same child, regardless of whether the persons have been married or have lived together at any time.